Let me introduce you to one of my most favorite gingers in the whole world, one Kirstie Wight. Kirstie is an extremely talented make-up artist that specializes in natural, soft, bridal and boudoir make-up applications. When I met her back in 2010, all she had was a business card for her business. 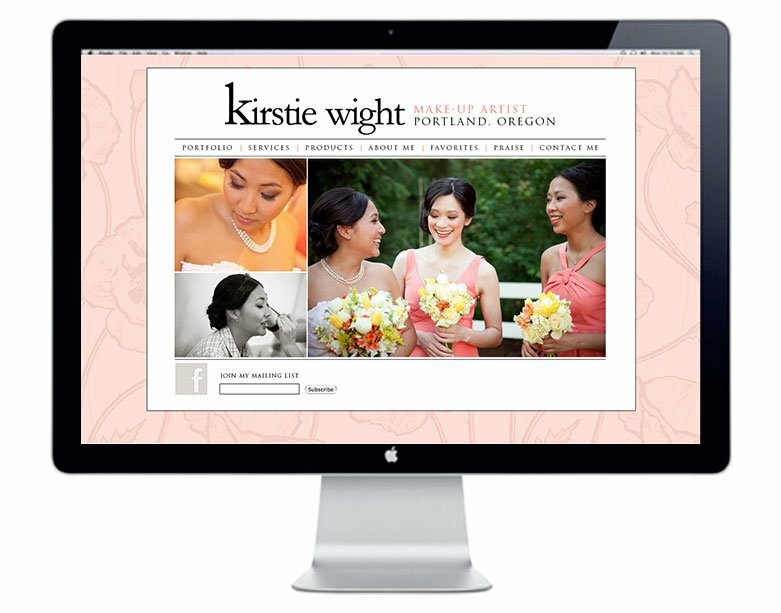 From there, we built a brand new website to showcase her skills, gorgeous portfolio images, and appeal to brides in the Portland, Oregon area to book her services. Fast forward to 2013: She’s exploded in popularity, booked out almost every day of the week, and has expanded her business to include personalized makeup lessons, as well as commercial, editorial and TV/film services. In short, she’s a big deal, and needed a massive website overhaul to reflect how far she’s come! To get a fresh pair of eyes on the project, we decided to work together as if we didn’t know each other at all–like she was a brand new client I knew absolutely nothing about. I had her fill out a New Client Questionnaire so that I could really see how much her business and aesthetics has changed over the past three years. We then moved on to Mood Boards, establishing the new design standards her materials would take on. 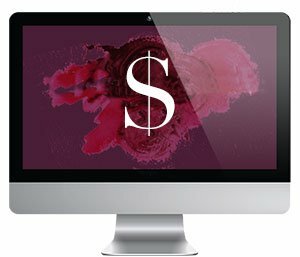 To call out what makes Kirstie unique to her dream customers, and help them understand how she’s different than her competitors, I included a large tagline area at the top of the Home page citing her specific value proposition. I also included a faded, soft photo in the background, visually conveying the subtleties of her makeup applications. 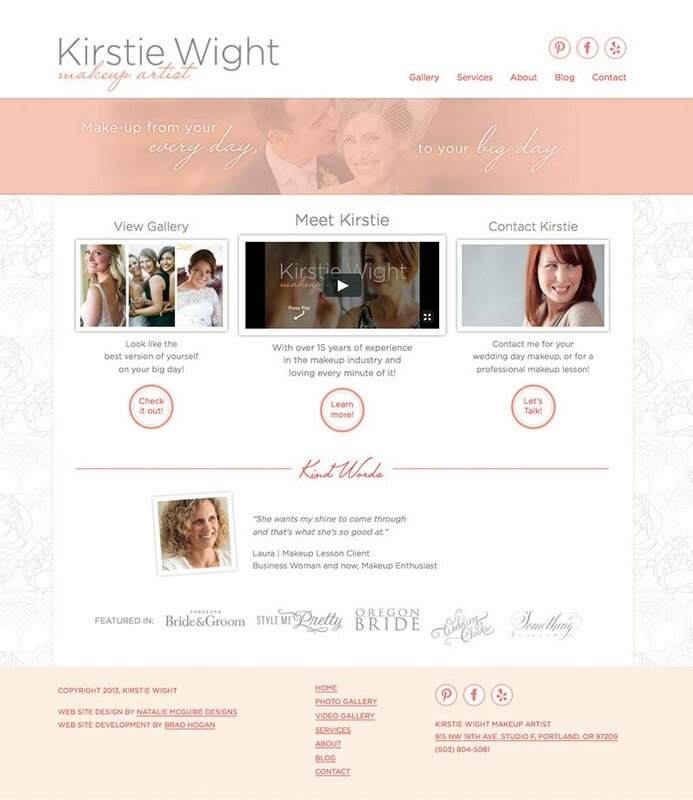 The three things she noted that she wanted people to do on her site was watch her “Meet Kirstie” video, view the photo gallery and contact her, so there’s three areas under the tagline directing the User to those areas. Each area highlights her key differentiators: 15 years of experience, her connection to clients, and the many types of make-up applications she can do. Throughout the site, the interior web pages remind the User to contact (and book her!) with the help of a simple “Contact Me!” button at the end of all of the page’s content. The visits to the site have more than DOUBLED. People are staying on the site a full minute and a half LONGER than before. People are viewing less pages because the site is answering more questions. Working with Kirstie over the years have been one of the biggest blessings of my career. Watching her small business and popularity grow inspires me every day to keep doing what I love, so that people like Kirstie can do what they love.